"Does This Mean That We Will Have The Console Master Race?" Recently we have caught a glimps of what is to be expected from the next addition to the Microsoft video game console family. As of right now it seems that we are in a war of the high resolution and high frame rate between Microsoft and Sony for the next generation of consoles. 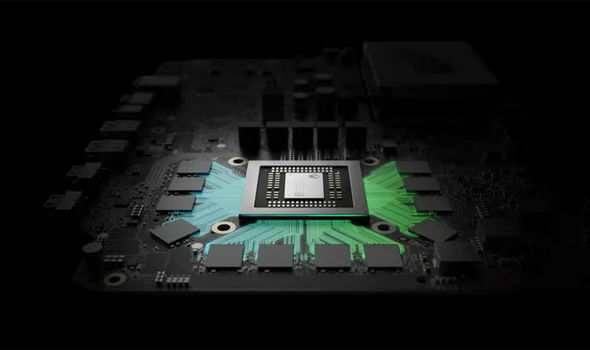 For right now, Microsoft claims that with their new console, gamers will be able to play their games at 4k while maintaining 60 fps, in other words very high resolution and a smooth game play. But getting to what has been released to the public about the new piece of hardware. The new console will have a second Ethernet port as well as a secondary GPU to aid with the 4K output that is being advertised. What else that has been confirmed is that the console will have a small screen at the front of the system that will display information to the player while they are playing their games, this may include real time frame rates as well as other useful information. It should be interesting to see how well a living room console will compare to the overpowered gaming desktops that have been built just to take on the task of playing games at 4K at the highest frame rates possible. But time will tell us if this new console will be able to live up to the hype being put around this console.